Non-radicular neck pain arising from local musculoskeletal structures, known as mechanical neck pain or somatic dysfunction, is highly prevalent in the fighter jet aviator population. The management of this problem includes both therapeutic and aeromedical decisions. In addition to non-steroidal anti-inflammatory medications, waiver guides recommend therapeutic exercise and manipulative therapy as treatments for somatic spine pain in aviators, and such treatments are employed in many military locations. However, there are currently no published studies that describe the use of manipulative therapy for fighter jet aviators. We report the case of an F/A-18 instructor pilot who experienced long-term relief of uncomplicated mechanical neck pain following interdisciplinary management that included manipulation and a home exercise program. Diagnostic considerations, conservative treatment options, and aeromedical concerns are discussed. In addition to non-steroidal anti-inflammatory drugs (NSAIDs) and short courses of analgesics, the US Navy Aeromedical Reference and Waiver Guide and the US Air Force Waiver Guide recommend mobilization exercises and manipulative therapy in the management of mechanical non-radicular spine pain. [6, 7] Despite recommendations by these guides and the high prevalence of neck pain,  we could find no published studies that describe the use of manual therapy, spinal manipulation, or spinal mobilization and therapeutic exercise for managing mechanical neck pain in aviators. In this article we present the case of a jet fighter aviator with uncomplicated mechanical neck pain who had a favorable response to conservative interdisciplinary management using manual therapy and therapeutic exercise. A 38-year-old male active duty US Marine Corps F/A-18 instructor pilot with 2,693 total flight hours, of which 2,134 were in the F/A-18 (fighter/attack aircraft), was referred by his flight surgeon to one of the naval hospital’s on-station doctors of chiropractic for treatment of intermittent neck pain. The neck pain was experienced intermittently over a period of two years, the most recent episode being initiated after assuming an instructor role that involved flying frequent ACM training sorties during the previous eight weeks. The pain was located in the right side of his neck and worsened when he turned or laterally flexed his head to the right. The neck pain became more bothersome during and after ACM. Typically the pain was described as being dull and aching in character; however it could become sharp with rapid right rotation of the neck or under high G situations. 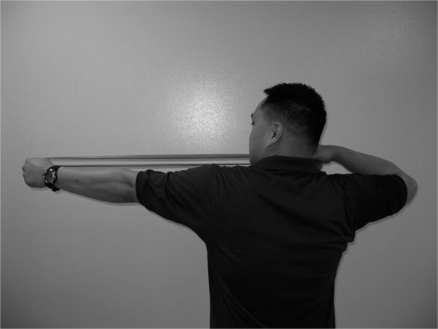 He experienced difficulty turning his head to the “check six” position because of pain and decreased range of motion, thereby interfering with his ACM capabilities. The patient was referred to the chiropractor when it had not resolved with a two-week course of acetaminophen, flight grounding, and topical applications of heat and had been present for more than 8 weeks. The pain did not interfere with sleeping and had no features related to time of day. He denied radiating pain, paresthesia, upper or lower extremity weaknesses, bowel or bladder incontinence, visual disturbances, dizziness, or headache. His numerical pain scale rating for severity was 3/10 (10 represented by ‘the worst pain imaginable’) and his Neck Disability Index  score was 6%. The patient was a very healthy male Marine engaging in multiple forms of exercise per week, including running, yoga, weightlifting, Marine fitness training, and mountain biking. He did not smoke or drink, was not under any new stress and had a stable married home life. His gross active neck range of motion was visibly decreased for right rotation and right lateral flexion. Stiffness was observed by both the patient and the doctor at the end range of passive right rotation as well as with right lateral flexion. The patient experienced pain on the right side of the neck with axial loading of the neck in the neutral position. In the sitting position, manual axial traction  decreased his pain and increased his active range of motion. Neural tensioning through contralateral rotation and extension of the neck while the upper extremity was abducted with the elbow, wrist, and fingers passively extended  elicited no radiating pain, numbness, or tingling in the upper extremities. Tenderness to palpation was present in the right cervico-thoracic paravertebral and upper trapezius muscles. No signs of infection were present, and there were no abnormal neurological findings detected with dermatome assessment, deep tendon reflex testing, upper extremity myotomal strength testing, or Valsalva’s maneuver. The cervical spine was manipulated in the supine position using a spinous process contact and the thoracic spine in the prone position using a modified pisiform contact. Active stretching of the right upper trapezius muscle was also performed while digital pressure was applied by the provider to tender areas located in the muscle. In addition, home stretches for the upper trapezius muscles  were prescribed 3–5 times daily and the patient was advised to hold each stretching position for 30 seconds. The patient reported an immediate reduction in pain and improved mobility after the first visit. At the three-week follow up, he had stiffness without pain and had been returned to flying, but had only flown two ACM missions. The previous treatment was repeated. At the four-week follow up visit (third treatment), improvements in outcome measures included minor limited range of motion, mild tenderness to palpation, and stiffness with no neck pain. He had flown a few ACM missions to ascertain a rigorous response to treatment. Since he was still having some residual stiffness, reduced range of motion, and tenderness to palpation, the treatment protocol was repeated once more. Standing multiplanar isometric endurance home exercises for the neck musculature  were prescribed in an effort to enhance paracervical muscular strength and endurance, based upon the increased physical demands of the neck musculature during flight (Figure 1). These exercises were aimed at functional restoration and therefore modified to closely mimic the tasks associated with flying the F/A-18. At the five-week follow up visit (fourth treatment), he reported no neck pain, including during and after ACM. He had no tenderness to palpation and nearly full restoration of neck range of motion. He reported that he had been compliant with the neck isometric exercises and felt that they were of benefit. Based upon his apparent improvements with the isometric exercises, the patient was provided isotonic exercises aimed at further improving the strength and endurance of the posterior neck musculature and scapular stabilizers (Figure 2). These exercises were intended to provide a therapeutic delivery of load, simulating those forces placed on the neck during ACM. At the eight-week follow up (fifth visit, no treatment, re-examination only), he reported no pain and no stiffness and had flown numerous ACM missions without a recurrence of neck pain. His Neck Disability Index score was 0/50. Examination revealed full active and passive ranges of cervical motion and no tenderness to palpation. The patient had no subsequent neck pain episodes that were reported to his flight surgeon or chiropractic physician over the ensuing 6 months and deployed to the combat theater without incident. Conservative methods for the treatment of neck pain may include NSAIDS (e.g., ibuprofen, naproxen). However prolonged treatment with NSAIDS is not recommended due to some of their associated complications (e.g., gastric bleeding). Sometimes muscle relaxants are prescribed (e.g., cyclobenzaprine, metaxalone), but they are considered temporarily disqualifying from flight duties due to the potential side effects (e.g., dizziness, drowsiness). Cervical collars are typically not recommended, as the research evidence does not support their use. Manual therapies (e.g., mobilization, manipulation) and physical treatments (e.g., physiotherapy, exercise) have evidence to support their use for uncomplicated neck pain without severe neurologic deficit. [19, 20] To address mechanical dysfunction, manipulative and physical therapies in addition to exercise may assist with treatment of the current episode and the prevention of future neck pain. Manipulation should be performed by healthcare providers who are trained in this procedure. If a flight surgeon does not have this training, he or she can work in conjunction with an on-station osteopath, chiropractor, or physical therapist who is trained in these procedures. The US Navy Aeromedical Reference and Waiver Guide states that neck and back pain from biomechanical derangements of the spine and resulting muscle aches and spasms, known as somatic dysfunction,  are not considered to be disqualifying for flight status unless the condition is persistent or has required hospitalization. For pain that does not require a waiver, the Waiver Guide recommends mobilization exercises, physical therapy, manipulation, and occasional use of flight surgeon prescribed NSAIDs for a short-term course of care to manage back or neck pain. [6, 7] These medications are considered disqualifying for flight if used chronically and would then require a waiver. Muscle relaxants are considered disqualifying and should not be used by military aviators while on flying status. The use of therapeutic exercises, [6, 7] manual therapy provided by a physician,  or manipulation  are not considered disqualifying for flight. Thus, for this unique population, conservative non-pharmaceutical management may be considered when developing a treatment plan. O’Leary, Falla, and Jull identified that neck pain subjects have altered coordination between the superficial and deep neck muscles, poorer kinesthetic sense, and higher rates of muscular fatigue when exposed to sustained loads,  which may explain the difference in muscle strength between pilots with and without neck pain, as noted by Ang et al. Exposure to G forces during regular flying has been associated with limited increases in isometric neck muscle strength,  suggesting that flight-induced gains in strength are negligible to counteract the forces placed on the body during ACM. Several authors have investigated the potential use of strengthening programs to prevent neck pain in this population. It has been shown that pilots who engage in muscle endurance training have less acute in-flight neck pain,  and pilots engaged in a supervised neck-specific strength and flexibility program demonstrated significant increases in neck strength and endurance compared to pilots provided a home exercise program. Recently, it has been shown that certain isotonic elastic band exercises and resistance machine neck strengthening exercises can generate similar neck muscle activation to G forces in the z axis measured in-flight and may represent a useful and job-specific physical training program for pilots involved in ACM. However, to our knowledge, there are no prospective controlled investigations of the efficacy of neck exercises for neck pain in fighter pilots that can inform clinical practice decisions. While there are anecdotal reports of aviators receiving manipulative therapy for neck pain, [8, 23] the effectiveness of this therapy in managing neck pain in fighter jet aviators is not reported in the literature. It is known that manual therapy is an effective non-pharmacological and non-surgical treatment option for whiplash and non-whiplash associated neck pain in the general population,  and it would seem rational to extend those results to the fighter aviator population. Hence, it is theoretically plausible that pilots with somatic neck pain may benefit from a rehabilitation program that includes proprioceptive activities, spinal manipulation or mobilization, muscle co-activation, and neck muscle strength and endurance training. This was the rationale employed in the rehabilitation of the pilot in this case. In the highly work-motivated flight community it is vitally important that members of the medical team work together to minimize patient recovery time while ensuring maximum flight safety. Flight surgeons are best qualified to interpret aviation safety guidelines, such as those in the US Navy Aeromedical Reference and Waiver Guide, and therefore, a close working relationship between the manual therapist and the pilot’s flight surgeon is invaluable. In this manner, appropriate modalities can be maximized, consistent follow-up can be ensured, and all regulations can be closely followed. By utilizing the skills and knowledge unique to each medical team member, the pilot can be maintained on flight status, or returned to it quickly, without breaking any aviation safety regulations or endangering the aviator. There are limitations to this case report. Although the patient improved and was released from care after only five visits, the time over which these treatments were given was considered suboptimal. The patient was not able to be seen as frequently as desired due to scheduling conflicts. A higher treatment frequency over a shorter duration would have been preferred to optimize treatment response related to manipulative and soft tissue therapy. Range of motion assessment, such as dual inclinometry, would have been preferred over visual assessment. Limitations inherent to the case report design prevent one from generalizing beyond this single case since this was a non-controlled retrospective study. The natural history of neck pain is episodic and recurrent  and may possibly explain the short term resolution of his neck pain. Summarily, this case study reports one pilot presenting with neck pain that was interfering with his job performance, who was motivated to maintain a high level of job-related function, and who appeared to have a favorable response to a conservative management approach that is under-reported within this population. We hope this report stimulates further research interest in the treatment and prevention of neck pain in this population. The views expressed in this article are those of the authors and do not reflect the official policy or position of the Department of the Navy, Department of Defense, or the United States Government. Head positioning and neck muscle activation during air combat. Voge VM, Tolan GD, Nixon WE. Chronic back disability: USAF officers at separation and exposure to +Gz. Bailey DA, Gilleran LG, Merchant PG. Waivers for disqualifying medical conditions in U.S. Naval aviation personnel. 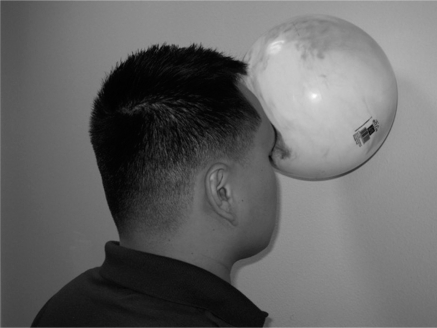 Cervical injuries during high G maneuvers: a review of Naval Safety Center data, 1980–1990. Acromite MT. U. S. Navy Aeromedical Reference and Waiver Guide. U.S.AirForce Air Force waiver guide. : U.S. Air Force, 2007. Spinal symptoms in aviators and their relationship to G-exposure and aircraft seating. Wainner RS, Fritz JM, Irrgang JJ, Boninger ML, Delitto A, Allison S.
self-report measures for cervical radiculopathy. Rubinstein S, Pool J, Tulder Mv, Riphagen I, Vet Hd. of the neck for diagnosing cervical radiculopathy. Nordin M, Carragee EJ, Hogg-Johnson S, Weiner SS, et al. Chiropractic technique: principles and procedures. 2nd ed. Preventing musculoskeletal disorders in clinical dentistry. In: Hyde TE, Gengenbach M, editors. Conservative management of sports injuries. 2nd ed. Sudbury: Jones and Bartlett; 2005. pp. 157–206. Manchikanti L, Boswell MV, Singh V, Benyamin RM, et al. in the management of chronic spinal pain. Guzman J, Haldeman S, Carroll LJ, Carragee EJ, Hurwitz EL, et al. Bronfort, G, Haas, M, Evans, RL, and Bouter, LM. Kikukawa A, Tachibana S, Yagura S.
G-related musculoskeletal spine symptoms in Japan Air Self Defense Force F-15 pilots. Hogg-Johnson S, van der Velde G, Carroll LJ, Holm LW, et al. Simon-Arndt CM, Yuan H, Hourani LL. Aircraft type and diagnosed back disorders in U.S. Navy pilots and aircrew. Lecompte J, Maisetti O, Guillaume A, Skalli W, Portero P.
Neck strength and EMG activity in fighter pilots with episodic neck pain. Ang B, Linder J, Harms-Ringdahl K.
with a history of neck pain. Seng KY, Lam PM, Lee VS. Acceleration effects on neck muscle strength: pilots vs. non-pilots. O’Leary S, Falla D, Jull G.
with head and neck pain. Burnett AF, Naumann FL, Burton EJ. Flight-training effect on the cervical muscle isometric strength of trainee pilots. Hamalainen O, Vanharanta H, Bloigu R.
Determinants of +Gz-related neck pain: a preliminary survey. Alricsson M, Harms-Ringdahl K, Larsson B, Linder J, Werner S.
Neck muscle strength and endurance in fighter pilots: effects of a supervised training program. Netto KJ, Burnett AF, Coleman JL. Neck exercises compared to muscle activation during aerial combat maneuvers. Haas M, Groupp E, Aickin M, Fairweather A, Ganger B, Attwood M, et al.